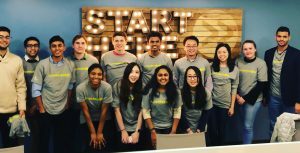 Four startups led by undergraduates at Johns Hopkins University will receive funding through The Ralph S. O’Connor Undergraduate Entrepreneurship Fund, the university announced. The fund is administered through the university’s FastForward U program and Johns Hopkins Technology Ventures. It received 31 applications. The startups announced as members of the 2018-19 cohort can receive up to $10,000 in funding. Straythink, a pair of arts and sciences students at Hopkins developing haptic feedback gloves to make virtual reality more immersive by using vibrations to simulate a hand touching an object.